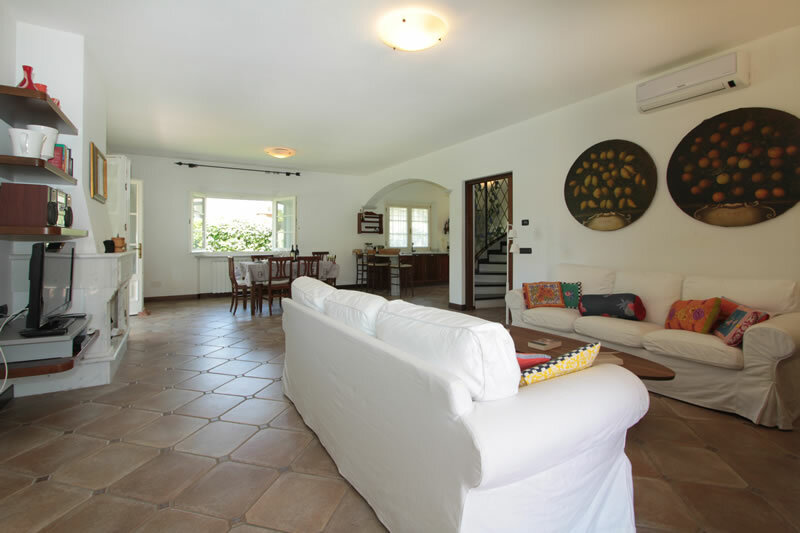 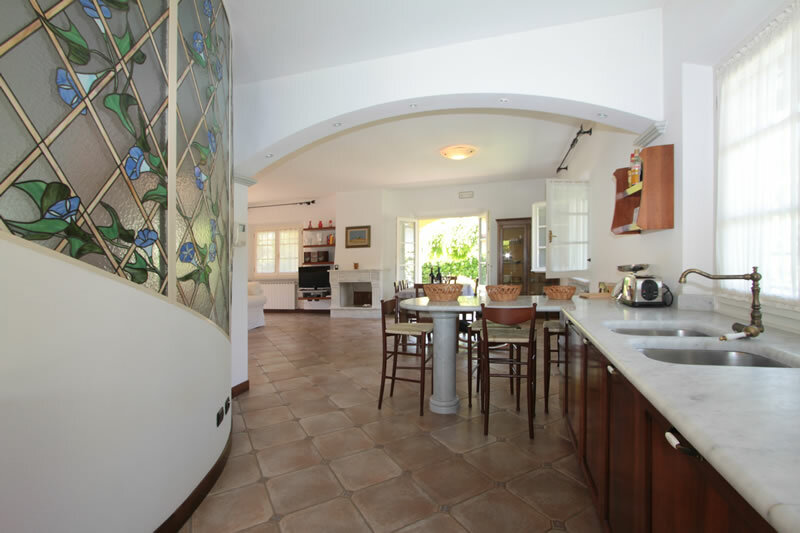 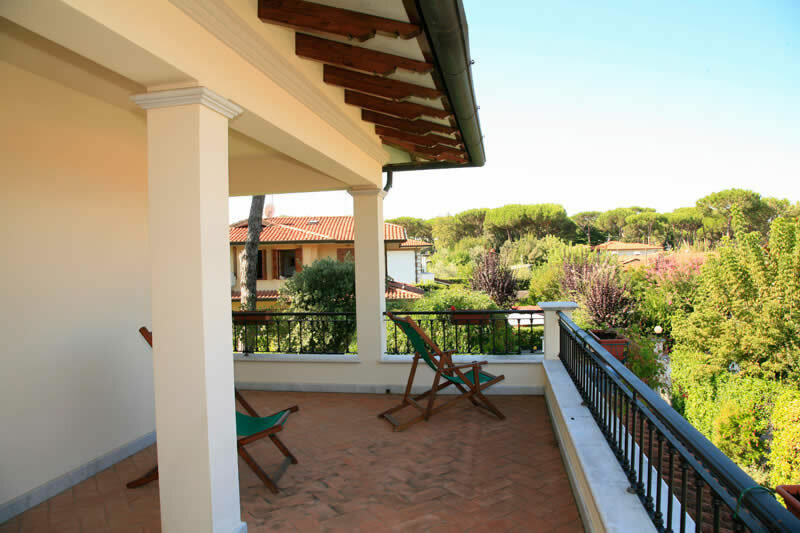 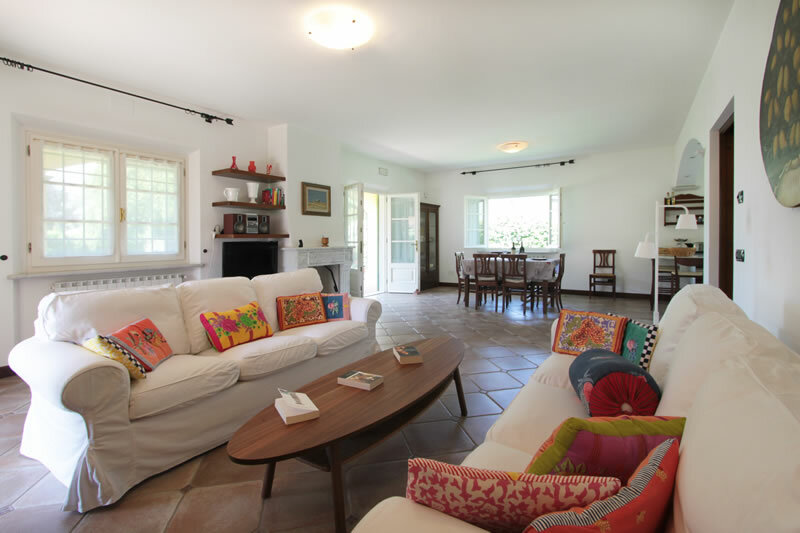 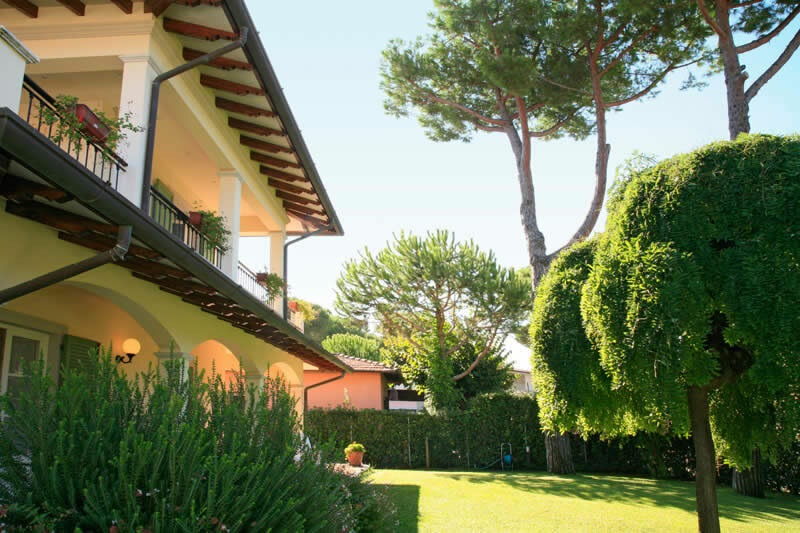 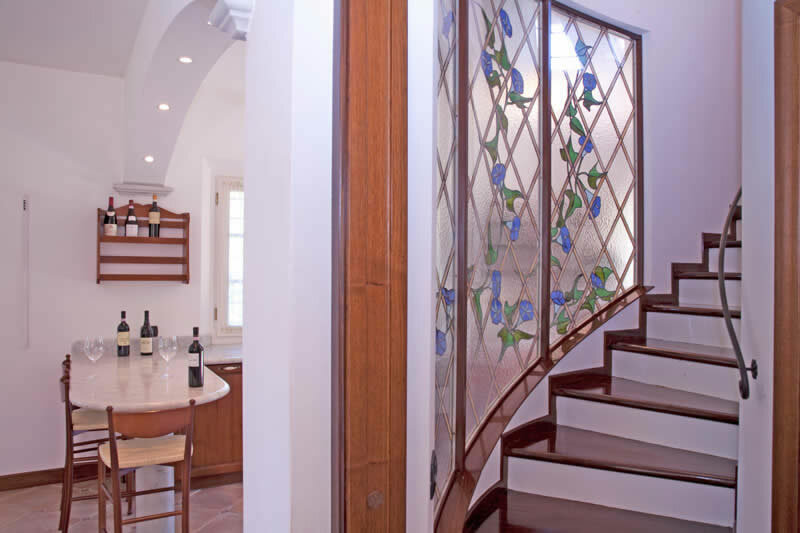 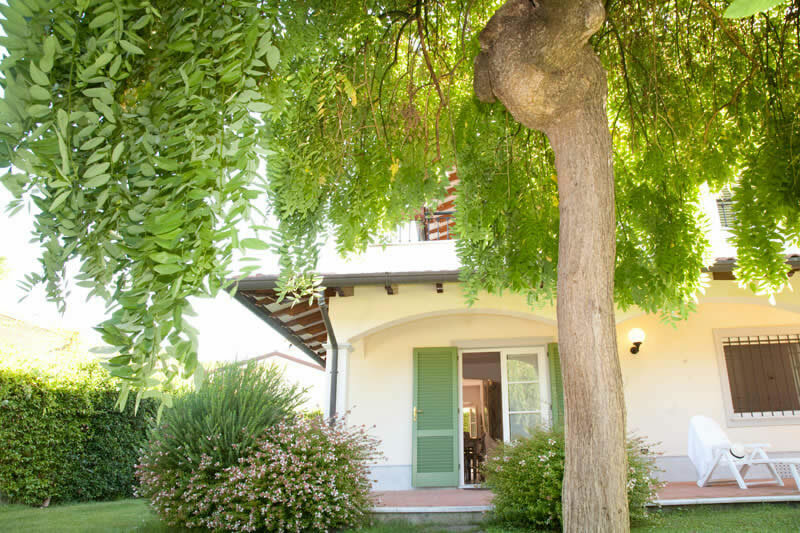 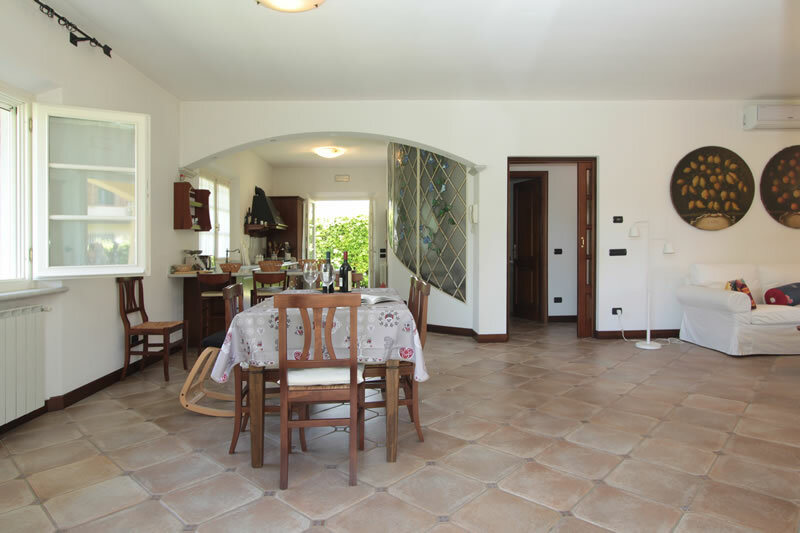 This single villa, surrounded by a 700sqm garden partly shaded by tall pine trees, and located in a private cul-de-sac, making it very quiet and yet it is close to the beach, to the shops and only a short walk to the town centre, was completely rebuilt in the year 2001, using the finest materials. 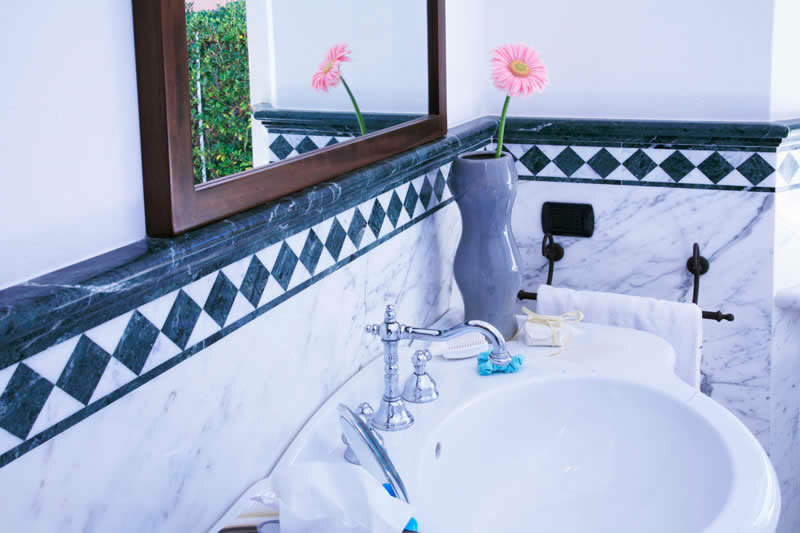 Such as the fine White Carrara marble of which the villa has outside skirting board, under roofing (held by wooden beams), window seals and other. 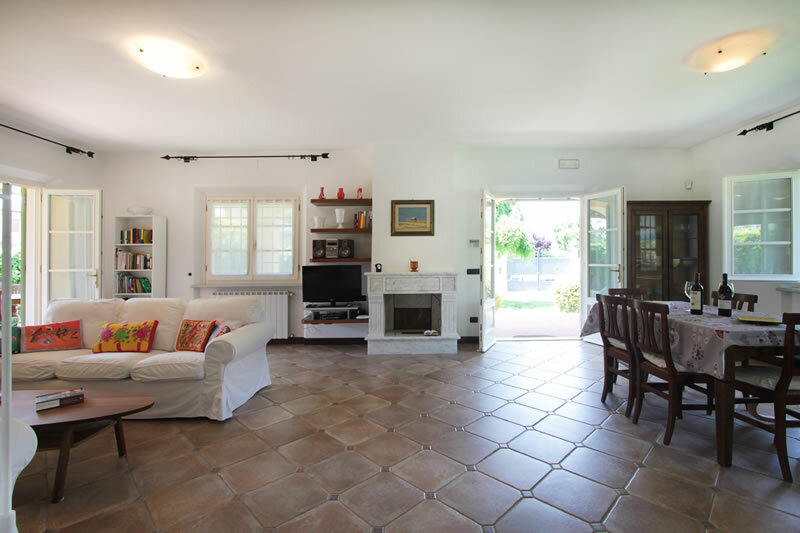 Terra cotto tiling and other. 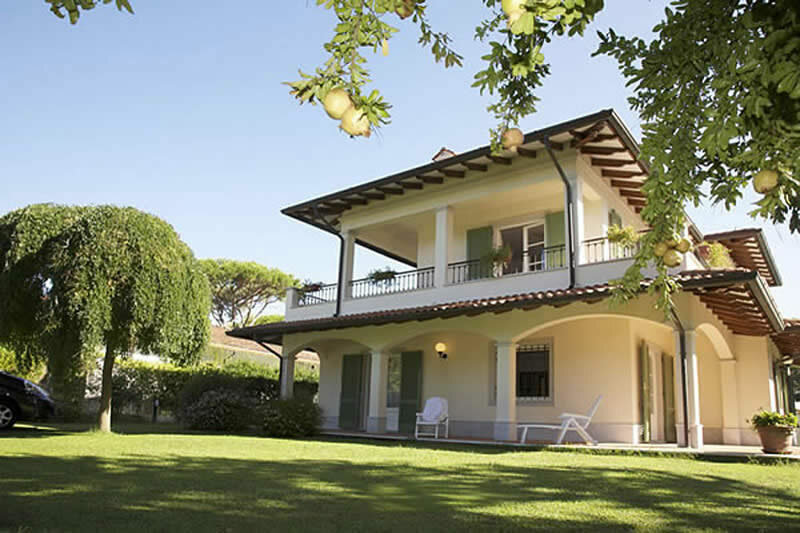 Villa Cinzia inside has luxury finishing and every particular is well cared for, from its beautiful floors, toned with the equally beautiful curtains, with a white Carrara and nut wood kitchen, with a wood staircase, closed by a 360 piece mosaic glass partition, to its well furnished upstairs bedrooms that lead onto its large covered balcony. 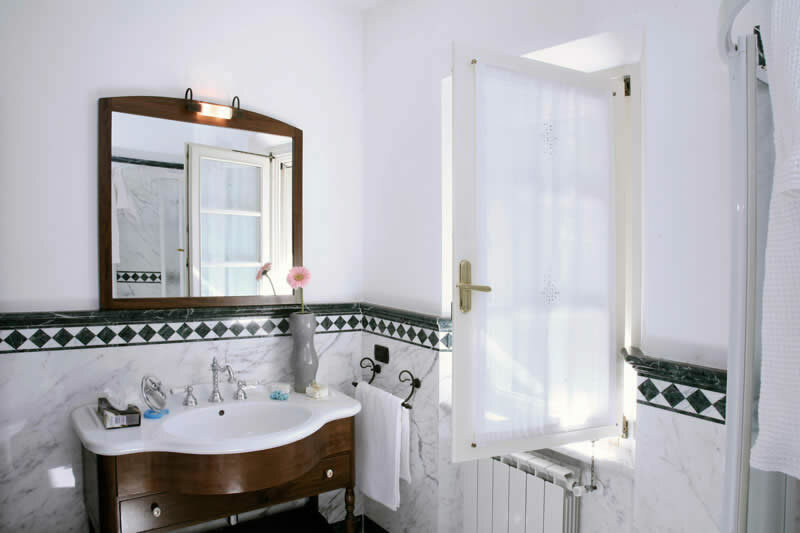 These bedrooms and the upstairs bathroom, with a Jacuzzi bath tub and and shower all have parquet floors, another touch of taste. 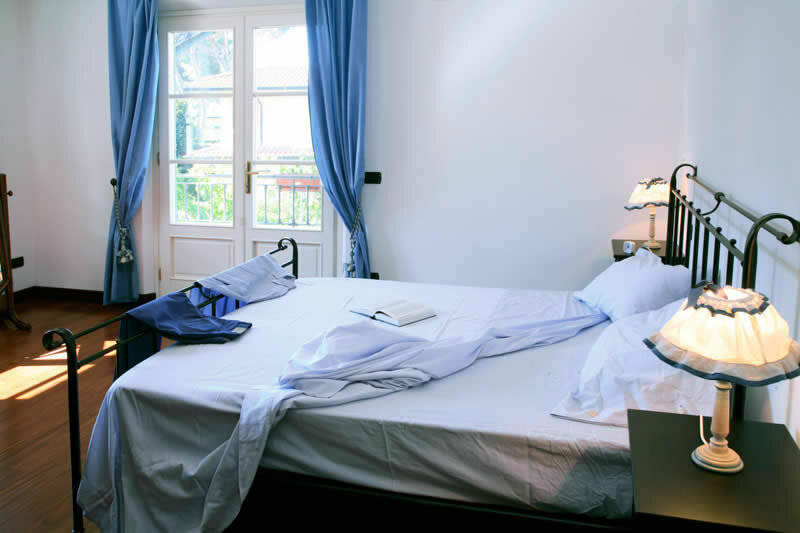 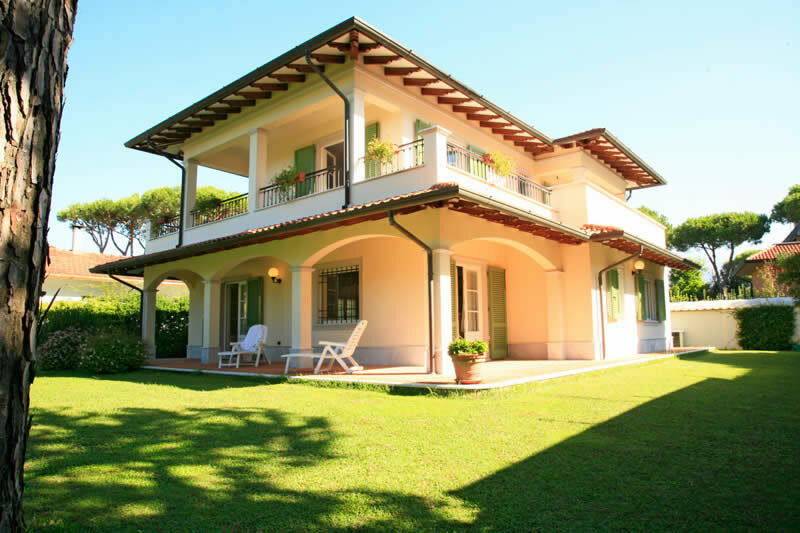 The upstairs bedrooms have air conditioning and all the villa is secured by a good alarm system. 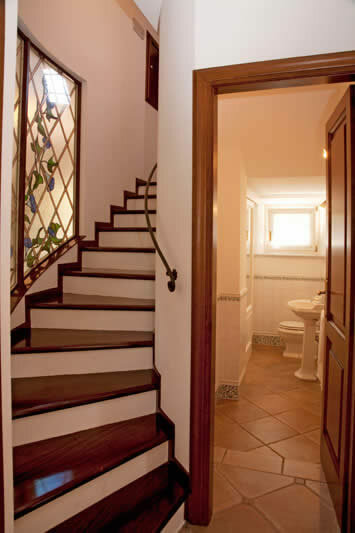 The down stairs bathrooms are no less attractive, one with a nice combination of White Carrara and Guatemala Green marble. 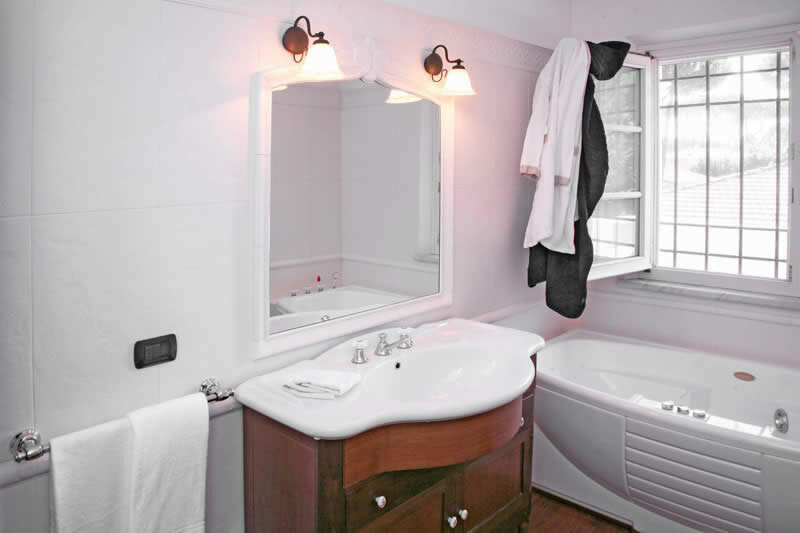 Unlimited Wi-fi Broadband internet connection. 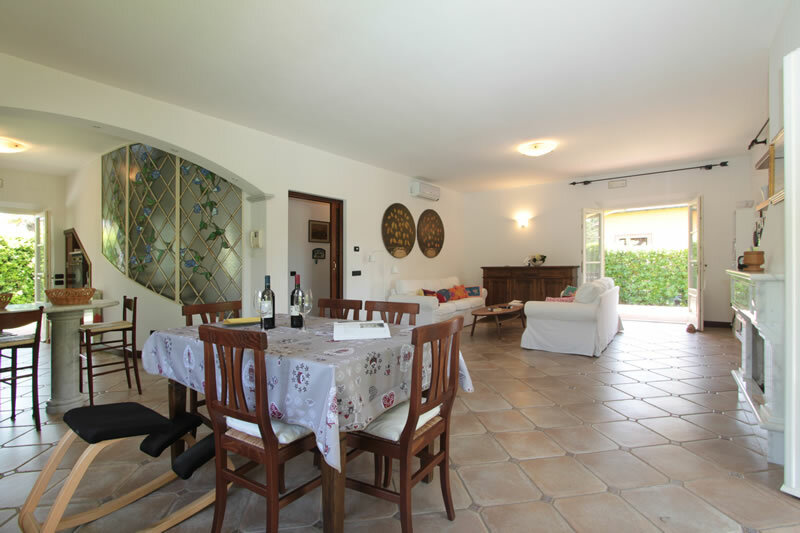 Villa Cinzia has: Ground floor: kitchen with a mable american breakfast table that opens onto the dining room and onto the large living room, 1 WC, 1 bathoom with a shower, 1 single bedroom, 1 single bedroom; First floor: 1 twin bedroom, 1 double bedroom, 1 bathroom with a jacuzzi bath and a shower, 1 very large balcony on 3 sides of the villa, air conditioning; Also has: washing machine-dryer, dishwasher, tv, telephone, covered patio, alarm system, garden and private parking.